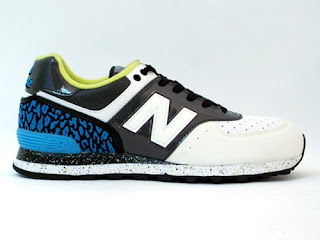 Who ever said you can't look fly in New Balance sneakers? Well known Japanese retailer Atmos doesn't seem to think so. 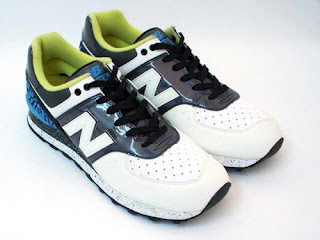 And truly, to be honest, their newest collaboration with New Balance is on point. The graphic on the tongue is simply wild, along with the rest of the design on the midsole - white in front with a grey prism like mid panel and a black/blue design in the back. 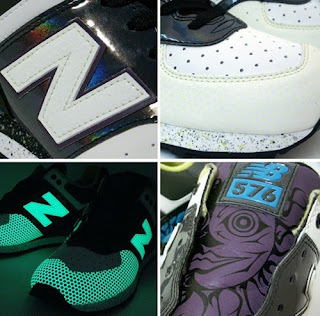 If that's not enough for you, sections of the sneaker glow in the dark as well, emanating a teal hue. This is by far one of the hottest sneakers I have seen from NB in a while. Expect them to drop on September 19th.